Jeremiah Anderson is the Manager of Economic Development at the Dallas Regional Chamber. In this role, he manages RFP responses and facilitates corporate recruitment efforts by working closely with the DFW Marketing Team, which is the regional association of community economic development allies. 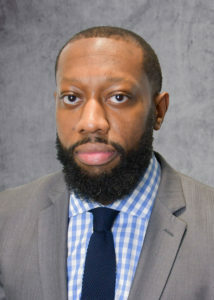 Prior to joining the DRC team in November 2018, Anderson spent nearly four years working for the Fort Worth Metropolitan Black Chamber of Commerce as the Economic Development Manager. Previously, he was the Deputy Campaign Manager and Field Director for a Texas statewide candidate during the 2014 midterm cycle. Anderson earned his bachelor’s degree from Quincy University.